While every aspect of “The Hinckley Experience” provides our customers with amenities and support, we know you, our clients, especially appreciate our training program. 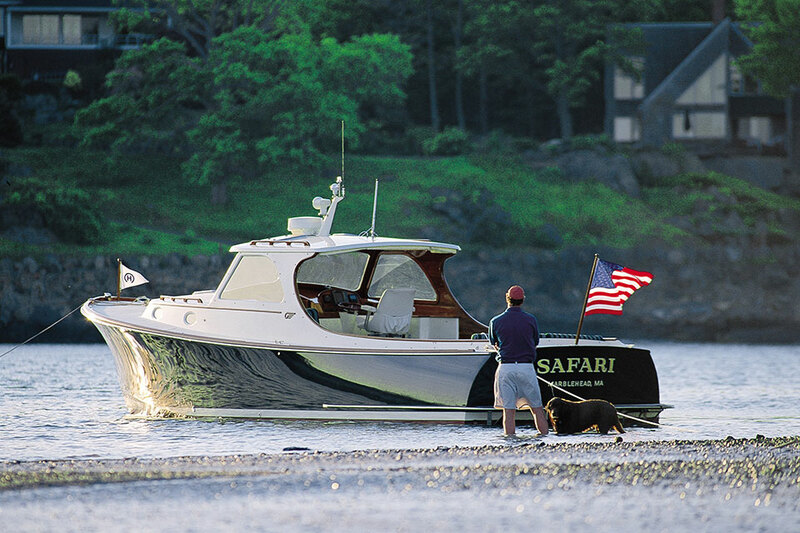 Unique in the industry, we provide complimentary, personalized training for every boat sold. Last year, that amounted to over 1,200 hours of private instruction to new boat owners and their families. We tailor the training itself to fit your needs, adjusting our lessons to all family members and differing levels of experience. Our standard training sessions are three days, but you may opt for longer or shorter sessions. Training begins with an orientation of the boat, where you’ll learn how each system operates. The trainers will cover everything from how to use the generator and air conditioning, to the windless and the GPS. Afterward, trainers take the owners out to open water where they demonstrate how the JetStick II® functions, complete with its Heading Hold and Hoverlock capabilities. This is also great opportunity to see how the boat handles at varying speeds. Training is typically followed up with docking and mooring pick-up practice, where the JetStick II® technology really pays off. We make scheduling training as easy as possible for our customers, coming to you whenever and wherever you need us. Our two fulltime trainers, are based out of Maine and Florida but will fly anywhere in the world, even overseas, to conduct training at your convenience. Our trainers are cultivated within the Hinckley Company so they are familiar not only with our boats, but also our quality customer service. Owners and trainers always find a way to have fun with training sessions which often culminate in an exciting activity, whether it’s inviting friends for a cocktail cruise while the trainer stays on to help operate the boat, or taking advantage of the Jetboat’s shallow draft and going to the beach. Each boat comes with custom printed manuals for you to reference in the future should you need a refresher. In the event you would like additional training, your instructor is available to you during your first year of ownership. If you would like a review of the operating systems next season or want other family members to go through training in the future, your service manager can help organize further instruction. 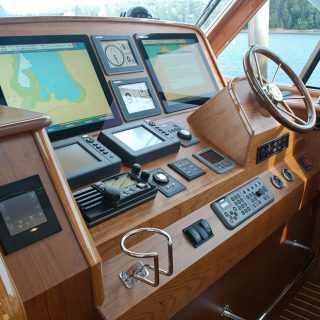 As a result of training, you’ll feel more confident at the helm which will lead to more enjoyment on your boat with fewer issues likely to arise. The most rewarding part of training is the increased safety on the water. For more information on our Jetboat training, contact our Director of Customer Service, Tim Shields.